Notable trees are trees on public or private land that have been assessed as having a high historical, botanical, environmental or landscape value. These trees need special care to ensure that future generations can enjoy them. Trees of significance may be protected under our District Plan. There are rules and incentives to ensure these trees are maintained to a healthy standard so they’re safe and stable, and can continue to contribute to the city’s tree canopy. Work on notable trees is carried out by experienced contractors. Love your tree? So do we. Do you know of a tree, group of trees, or bush remnant that you'd like us to consider for notable tree status? Notable trees are reviewed as part of the District Plan review process, however we welcome suggestions for new notable trees at any time. Can’t wait for the next review to get them protected? 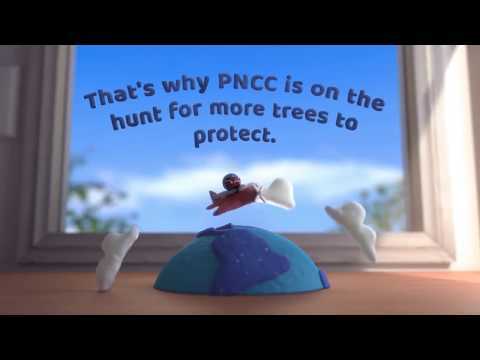 Talk to your lawyer about getting a covenant to protect your tree. You may be able to get financial support from the QEII National Trust or Department of Conservation for covenanting bush areas. We maintain a list of tree assessment reports detailing the location of trees protected under the District Plan. The Cultural and Natural Heritage Section of the District Plan guides what work on and around notable trees requires assessment through resource consent. You will need resource consent for trimming or any other work that requires more than secateurs. Removal of dead or diseased vegetation, or minor trimming or maintenance of any scheduled notable tree or group of notable trees in order to maintain their state of health is considered a Permitted Activity. No resource consent is required. You may wish to consult with the Council if you are unsure whether the work you propose falls under this category. Work that is more than minor maintenance – like removing part of the tree or excavating under its canopy – may have serious consequences for the health and safety of the tree and surrounds if not managed well. This type of work requires a full assessment by Council. You need to apply for consent using the form below. Council recognises that notable trees are of value to the wider community, but the ownership and responsibility to maintain the tree is on the property owner. The quality of regular maintenance work can have a significant impact on a tree’s ability to grow healthily. The need for quality work to be undertaken can come at a cost, so Council has a Notable Tree Incentive Strategy to enable notable tree owners to apply for reimbursement of 70 per cent of the arborist's work, up to a total of $400 for an individual tree, and $1,500 for a group of trees. This funding is available for minor maintenance work only, and applicants must use preferred contractors and stick to the funding guidelines below. There are no lodgement or processing fees for getting a resource consent for minor maintenance of notable trees, but the work must be done in line with the maintenance schedule in the STEM tree assessment report (see table above for individual reports). Want to be a preferred contractor? We maintain a list of arborists who have shown they can work safely on notable trees, and whose work has led to exceptional health outcomes for trees. If you're an arborist who'd like to be considered as a preferred contractor, please fill out the application form below.